My first ride on the Link Light Rail and it was convenient and comfortable. Can't wait until the line extends north of Seattle. 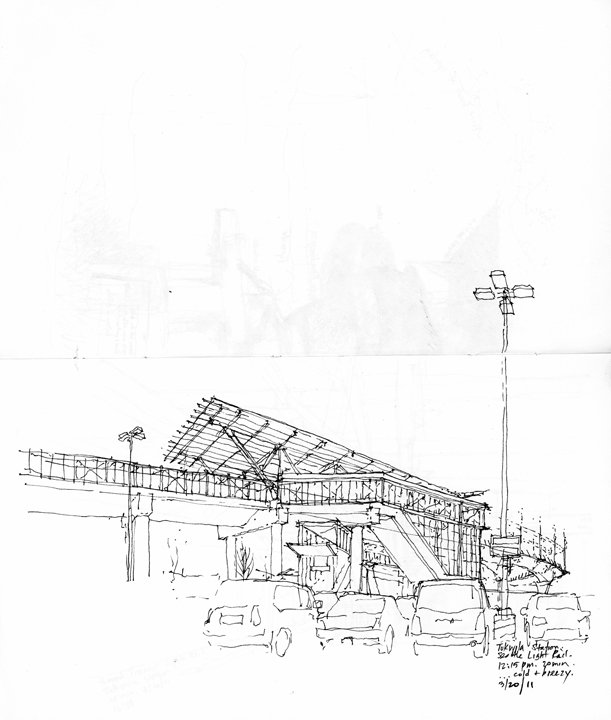 Here is my take on Shimomura's Rainier Valley Haiku and an exterior view of the Tukwila station. I love the mass of the shoe feels like it is bearing down on this fragile porcelain bowl! Nice going! Looks like the conditions didn't effect you at all. I particularly like the Tukwila station. Like Gail said, I love the contrast - the mass of the shoe vs. the ethereal spring branch. 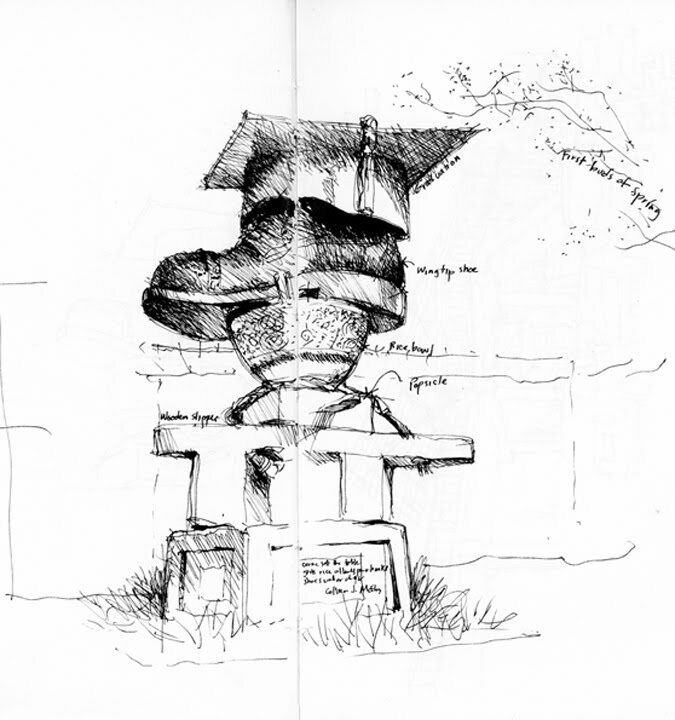 And I admire also the balance that near light pole gives the Tukwila station sketch.